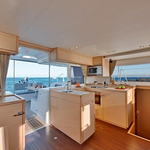 In 2019 was produced boat Lagoon 450 named Living a dream- DRAFT BEER ON BOARD FOR FREE. 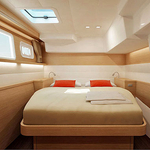 This yacht is placed in base San Gregorio in the surrounding area of Sicily in Italy. 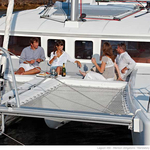 You can board up to 12 persons on the yacht Living a dream- DRAFT BEER ON BOARD FOR FREE. Arrangment of beds is 12 (8+2+2). 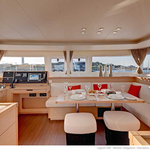 There are 6 cabins located under yacht's deck. Living a dream- DRAFT BEER ON BOARD FOR FREE is equipped with 4 toilettes. 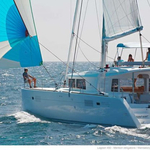 You can see different boats in this site: Catamarans Sicily. 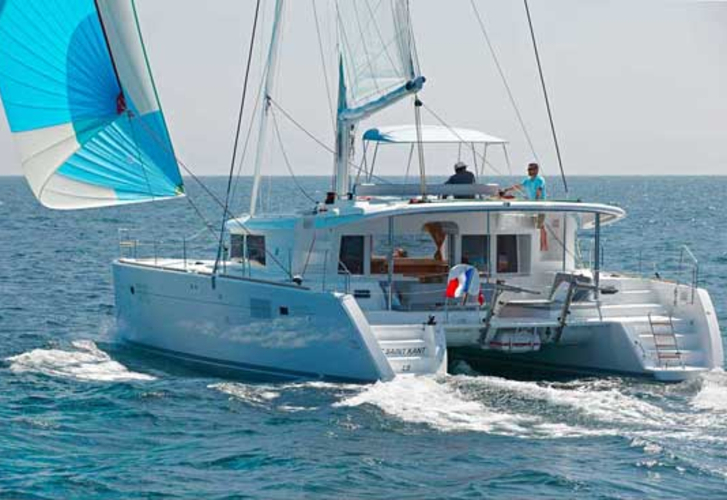 In this yacht there is engine 57. 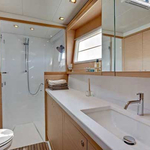 With 13.95 meters of LOA and 7.84 meters of width Living a dream- DRAFT BEER ON BOARD FOR FREE offers enough space for comfortable sailing. Lagoon 450 Living a dream- DRAFT BEER ON BOARD FOR FREE is equipped with: Internet Wi-Fi, Gps plotter, Plotter gps in cockpit, Gps, Autopilot, Radar, Flybridge, Teak cockpit, Electric winch, Barbecue, Bimini top, Dinghy, Anchor electric windlass, Coffee machine, Radio / cd player, Air conditioning, Heating, TV, Water maker, Inverter 12v-220v, generator, Mainsail with lazy jack, Fishing tackle, Outboard engine, Canoe, Wc pump electrical, Microwave. . Security deposit has value 0.00 EUR. 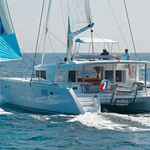 See other vessels by moving to this section: Catamarans San Gregorio.